Parkside Inn Motel & Conference Centre - PH : +61 3 9467-3344 Book Direct 2 Save. A queen size bed confriguration with private bathroom, free parking, full HD LED LCD television, microwave oven, coffee and tea facilities. A queen and single size beds confriguration with private bathroom, free parking, full HD LED LCD television, microwave oven, coffee and tea facilities. A queen size bed and two single beds confriguration with private bathroom, free parking, full HD LED LCD television, microwave oven, coffee and tea facilities. Two queen size beds and two single beds confriguration with private bathroom, free wifi, free parking, full HD LED LCD television, microwave oven, coffee and tea facilities. 3 seperate bedroom with kitchen and cooking facilities, laundry facilies, private bathroom, free parking, full HD LED LCD television, DVD player, iron, iron board, hair dryer with luggage storage. 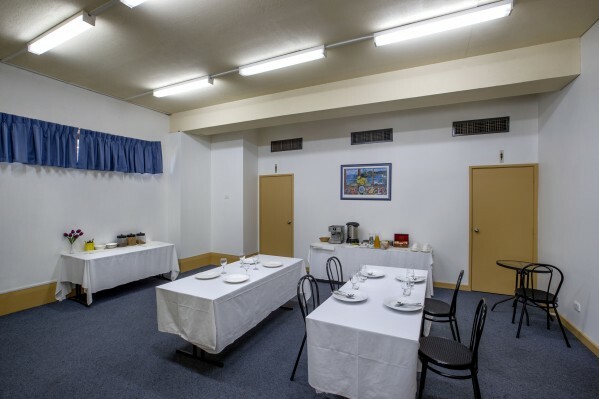 The Parkside Inn Motel and Conference Centre is ideally located 12kms from Melbourne City CBD. It is across the road from LaTrobe University and the La Trobe Private Hospital. It is also located next to Bundoora Park and just a few minutes tram ride to RMIT University (Bundoora Campus) and Northpark Private Hospital. Polaris 3083 is a shopping plaza across the road, there is Woolworths, a liquor store, several restaurants, news agency, a chemist and many more stores. Parkside Inn Motel has the No. 86 Tram line which stops directly in the heart of Melbourne's City; Bourke Street. There are also several buses across the road including No. 246, 250, 340 ,548, 550, 551, 561, 566, 350 (Bus directly to CBD and its many attractions such as The Flinders Station, M.C.G, The Melbourne Aquarium, Old Melbourne Gaol, Chinatown and much more). The motel consists of 19 rooms with a range of Ground Floor and Upstairs rooms. There are Queen size, Twin Share, Family and Apartment rooms available. A range of free ample parking for cars, buses and trucks. The Conference Centre can comfortably seat 40 people and is perfect for meetings, training and private functions, and our restaurant will provide you the delicious food for Breakfast, Lunch and Dinner. Our helpful and friendly staff will be delighted to assist you in planning your visit and of course will assist you in future bookings. Reception Hours : 8:00 am to 10:00 pm daily. *After hour or Early Check In is available, please call 03 9467 3344 before you arrive. After Hours : Please advise in booking for early or late arrival. DVD player will be provided upon request. Car Parking : Free off street parking is provided. Getting There : Just 20 - 25 minutes from Tullamarine Airport, along the Ring Road M80 and Exit at the Plenty Road turn off. Turn Right into Plenty Road, and we are located approximately 7 minutes along Plenty Road, on your Right, just past Bundoora Park. From the City, you can take the Number 86 Tram which will bring you directly to the Motel. The M.C.G., Telstra Dome, Bundoora Park, The Melbourne Aquarium, The Melbourne Zoo, Old Melbourne Gaol, The Museum, and so much more. We can organise day tour's to Great Ocean Road, Healesville Sanctuary, Puffing Billy, and more. Bundoora Park, LaTrobe and RMIT Universities, Northland Shopping Centre, Polaris3083 shops (across the road with several shops and restaurants including Woolworths) Bundoora and Summerhill Shopping Centres,Bundoora Golf Club and Latrobe Golf Club, Bowling Clubs and sports Centres,Restaurants or take away, LaTrobe Medical Centre, Austin and Mercy Womens Hospitals.